The City of Columbia’s Forestry and Beautification Division plants around 500 trees in the City’s rights of way each year. Most of the planting locations are areas where they have removed trees during the previous year, although some of the new trees are from resident or business requests. 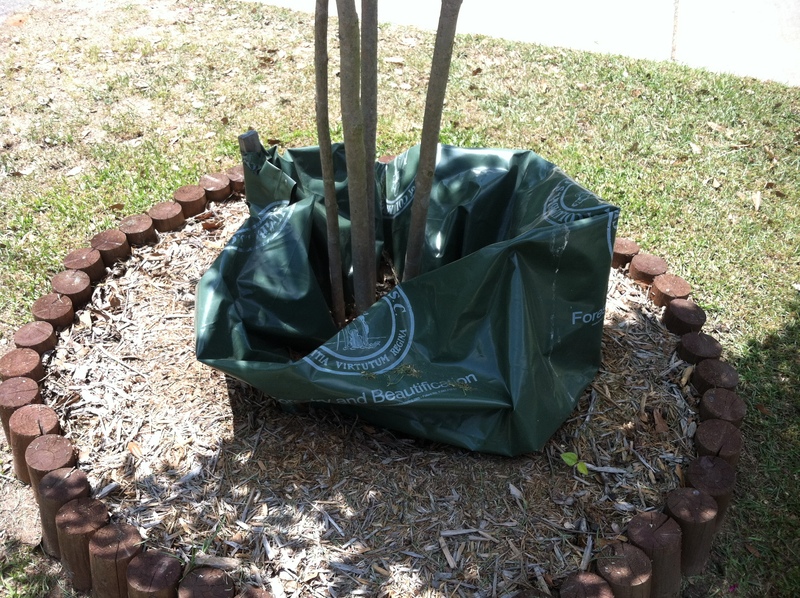 A water bag, pictured to the left, is placed around the base of the tree and will water the tree for two years. The Forestry division provides any required pruning. 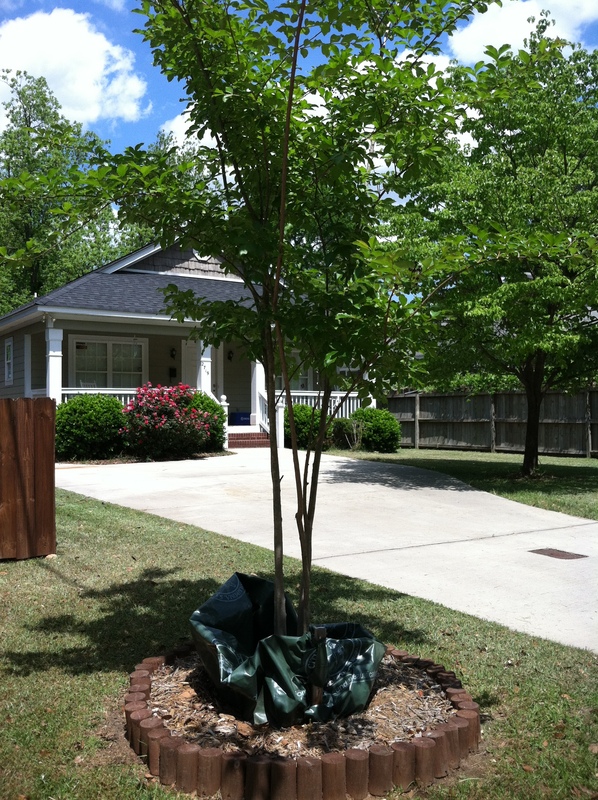 City trees may only be planted on City right of way and will not be planted on private property. Whether you had a tree fall during a storm, or just want to add to the canopy of your street, call 545-3860 for more information.